Techne Summit, one of the largest entrepreneurship and technology event of Egypt’s second largest city Alexandria, returns later this month. Taking place for the third time, the annual event will bring industrial experts, entrepreneurs, investors, startups, technology enthusiasts on one platform for two days to talk about technology and innovation. 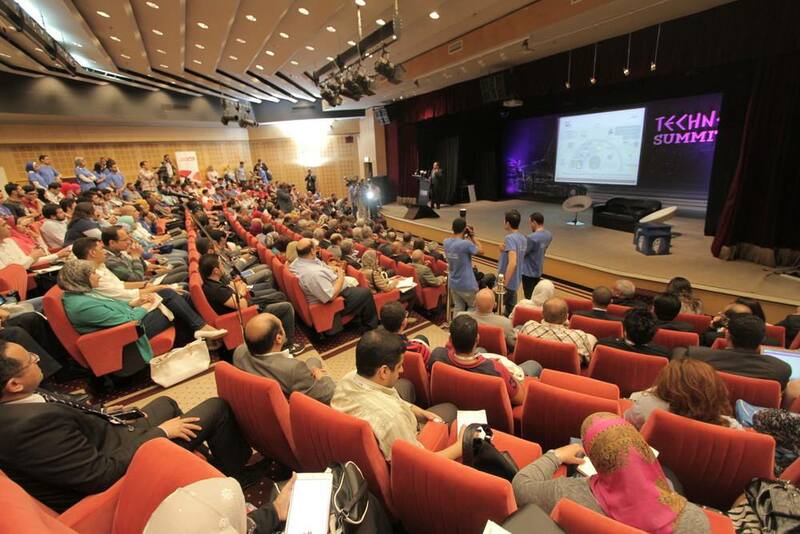 The event that will take place on Sep 30 – Oct 1 at Bibliotheca Alexandrina, aims to help startups in the Mediterranean region by showcasing their products and connecting them with the investors and resources they need, to keep going. Techne Summit will offer different networking opportunities for everyone attending the event. It will also feature panel discussions, one-to-one meetings between different parties, fund raising possibilities, and a lot more. The event will have more than 100 speakers talking about different things around technology, innovation and talent. It has been structured in different tracks to make it easy for attendees to follow what they’re most interested in. The tracks include ecommerce, fintech, marketing and media technology, investment, startup academy, technology disruption, share economy and women empowerment. “Over the past two years the number of participants have doubled; so have the numbers of startups and international speakers involved. This astounding growth is a clear indicator of the thirst that existed for an event like Techne Summit, one that was the first of its kind in the region.” said Tarek El Kady, Founder of Techne Summit. Techne Summit will hold different startup competitions powered by different local, regional and international partners.The competitions will come with different prizes in form of investment opportunities, incubation scholarships and services that are valued at more than a million dollar. Some of the most notable competitions are the following. Seedstars World will offer ten Egyptian startups with an opportunity to pitch their companies in front of judges who will select the most promising seed-stage startup. The winner will be taken to Switzerland to compete for $1 million equity investment. Seedstars World has recently selected two winners from GCC who will also join the competing startups in Switzerland next year. The “Pitch and Sail” competition sponsored by Careem will bring startups and investors together on a boat ride where founders will pitch their operational startups for a potential investment. Aramex, sponsor of the eCommerce Track at Techne Summit 2017, will hold a competition for startups operating in the retail and ecommerce domains, where the winner will get the chance to be part of an incubation program including a trip to the Aramex facility in Dubai, United Arab Emirates. Enpact, who work to empower entrepreneurs, will invite five Egyptian startups from Techne Summit 2017’s pitch competitions to Berlin, Germany to join the ‘Pitch in Berlin’ program and participate in accelerator programs. Tickets of the event are priced at $10 for students, $22 for a regular participant, $33 for startups and $215 for startup exhibitors. You can learn more about the event and buy tickets here.